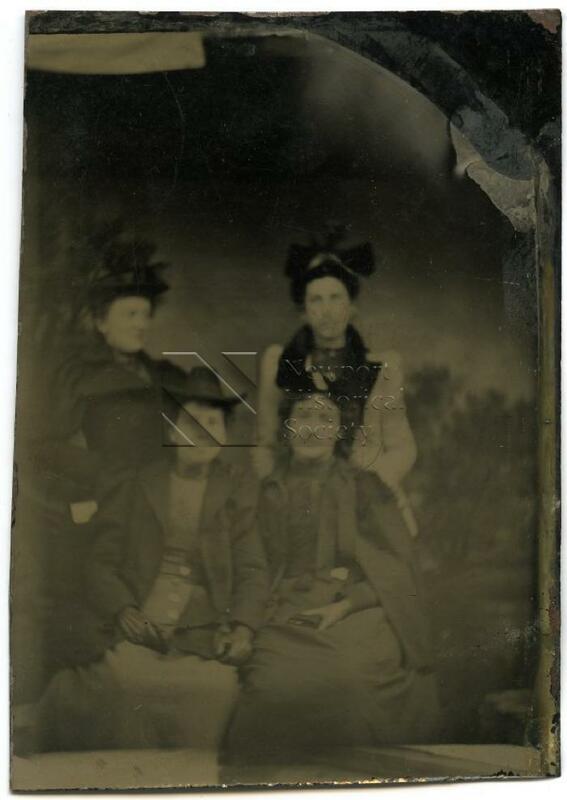 A tintype depicting four women, both seated and standing, in front of a landscape backdrop. All women are wearing jackets or coats with leg-of-mutton sleeves; image is slightly out-of-focus. Image is possibly connected to the Hettie Johnson family of Newport.